Sorry for the absence here – I haven’t given up my summer wardrobe project, though (predictably) summer is now almost at an end! The first of the shirts came off the assembly line last weekend and I wore them, along with my shorts, this past week. Photos will be up here shortly. I’ve recently run into some problems with this blog – Google has started informing me of a high error rate while indexing this site, and my hosting provider is telling me that the site is consuming too much of their resources and will suspend my account if the situation continues. This site runs on WordPress, and though I deal with website development on a professional basis, I have close to zero interest in care and feeding of websites like this one when I’m outside work. 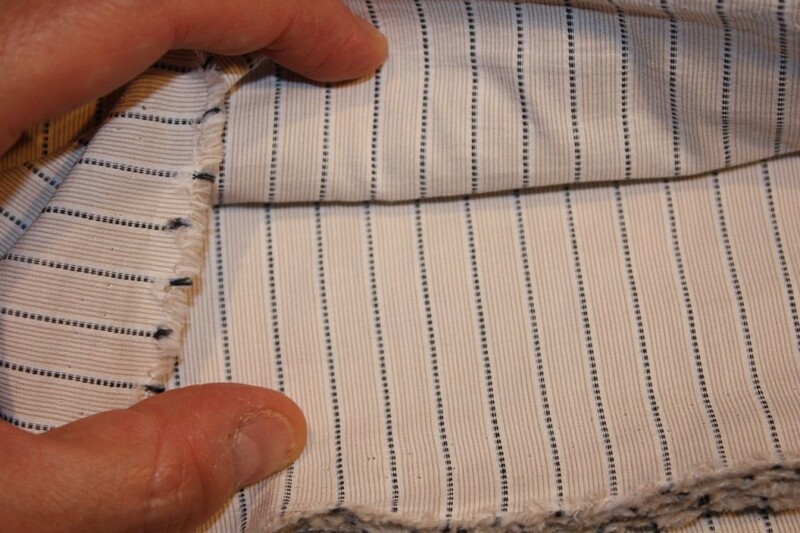 I’d rather be sewing new projects than tweaking blogs like this one, and a big reason I chose WordPress is that it has push-button solutions for almost everything. After much detective work, I discovered that links to articles were causing the browser to hang, rather than load the way they are supposed to. The culprit was a broken WordPress plugin, which was easy to fix. But at the request of my hosting provider I’ve made some upgrades to the site, both performance and security related. The biggest changes you’ll see is that I only have a single article on the home page, and I’ve disabled all trackbacks and pingbacks, since 99% of the time they’re used by spammers anyways. I also updated the site theme. I was introduced to Hamilton Book Company some time back. This place sells remaindered books via mail order at discount prices. They are a bit of a throw-back – though they have a website, you print out an order form and mail a check – but the prices usually make it worth the inconvenience. They also offer printed catalogs, one of them targeted at people into crafts and needlework. I spotted two books I wanted to mention here because if I didn’t already own them, I’d be thrilled to get them at these prices. 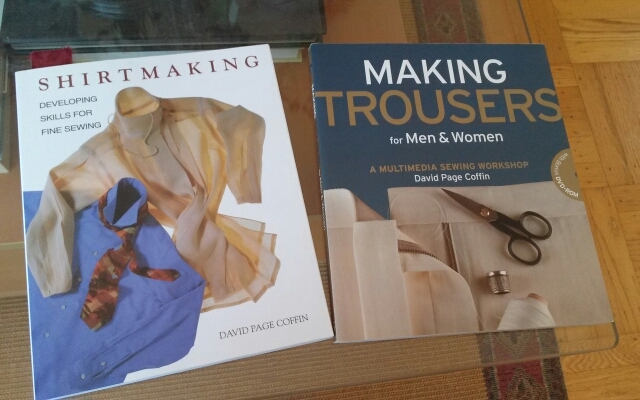 Both books are excellent resources for the menswear sewist, especially for the attention to detail necessary to get crisp, professional results. The Trousers book comes with a DVD containing lots of goodies, including patterns, instructional video, and photo galleries. (The Shirtmaking book also has a companion DVD sold separately, but I didn’t see it listed at Hamilton’s website). 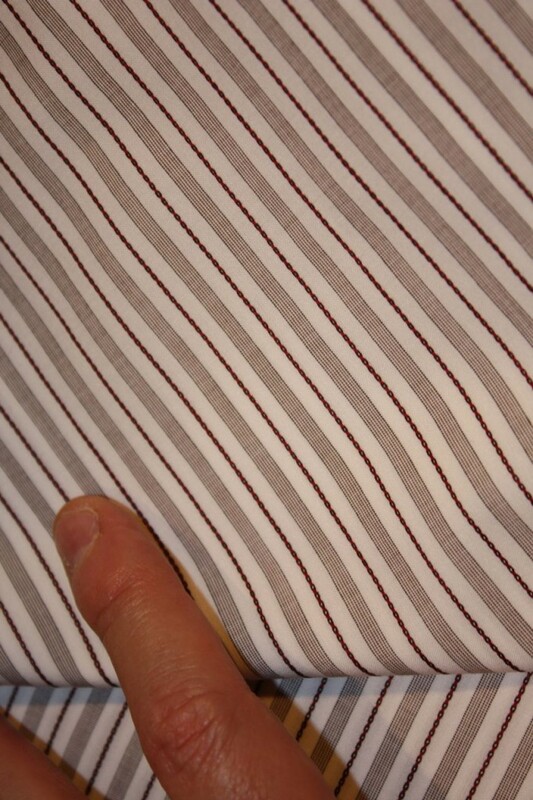 Unfortunately, I couldn’t find Shirtmaking listed online, so it may already have sold out. If Hamilton doesn’t have a title in stock, they simply refund your money with a check. 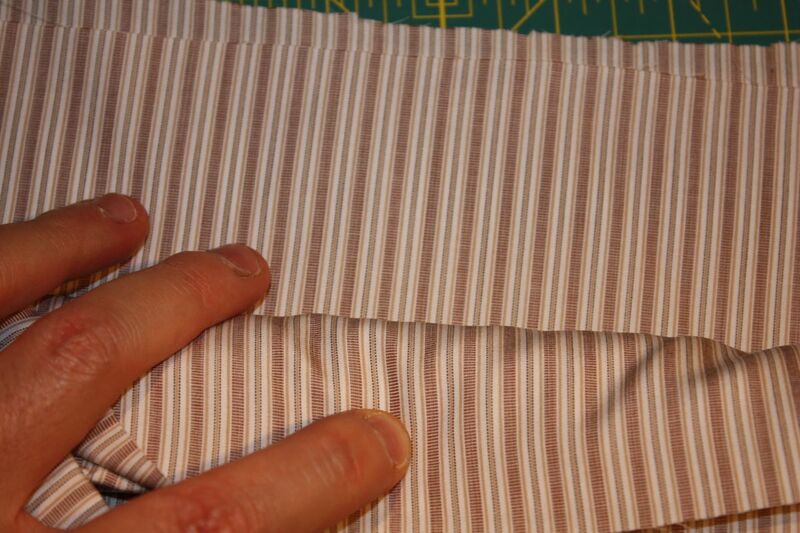 About a year or so ago, I purchased a bundle of shirting fabric from Michael’s Fabrics. 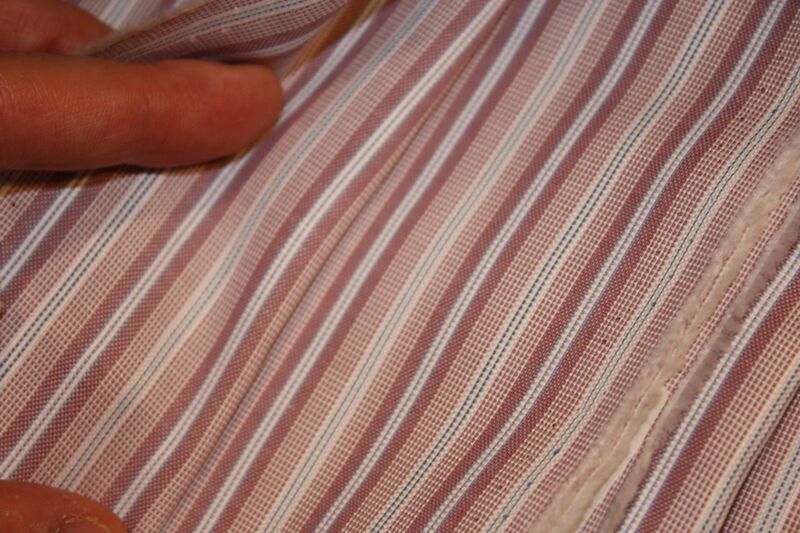 This stuff is supposedly remainders of fabric used by Tom Ford, and is very high quality Italian shirting cotton. Michael’s Fabrics recently offered another bundle deal. 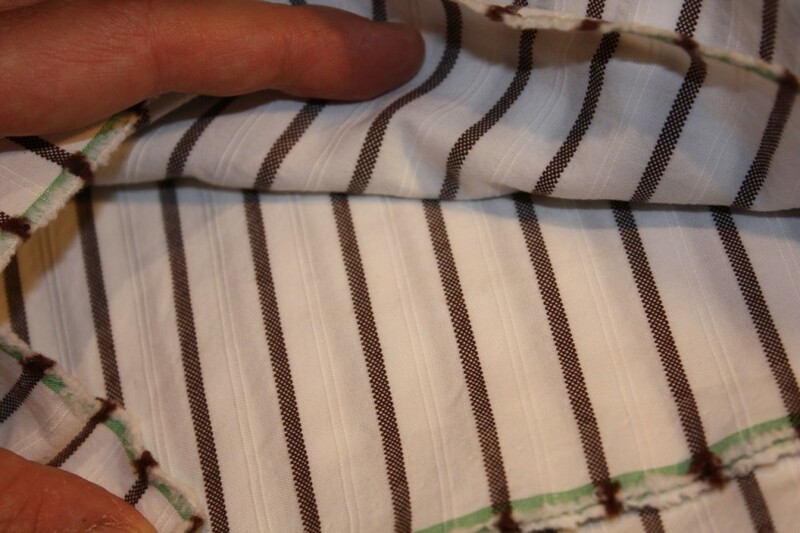 I purchased a 20-yard bundle of fabric, at $7/yard. The bundles are assorted, so you don’t get a choice – but you can talk with them on the phone and tell them what your preferences are. 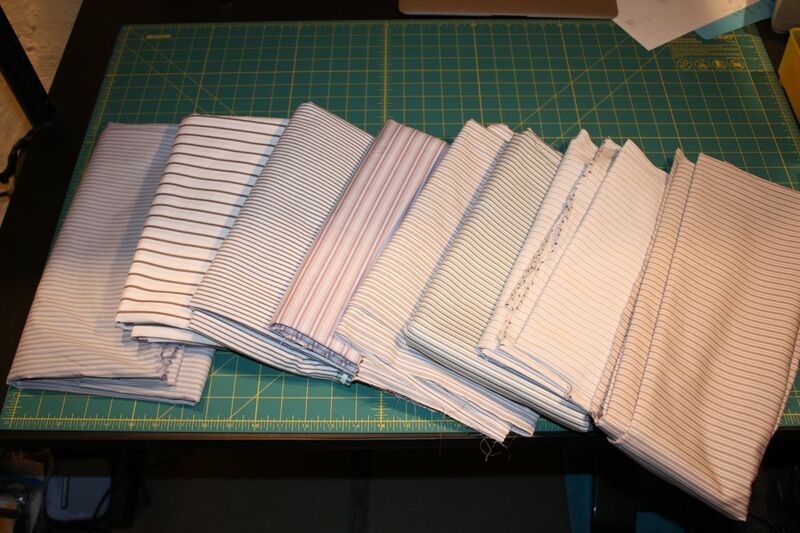 They gave me 2 1/2 yard cuts of fabric, each suitable for a single shirt. 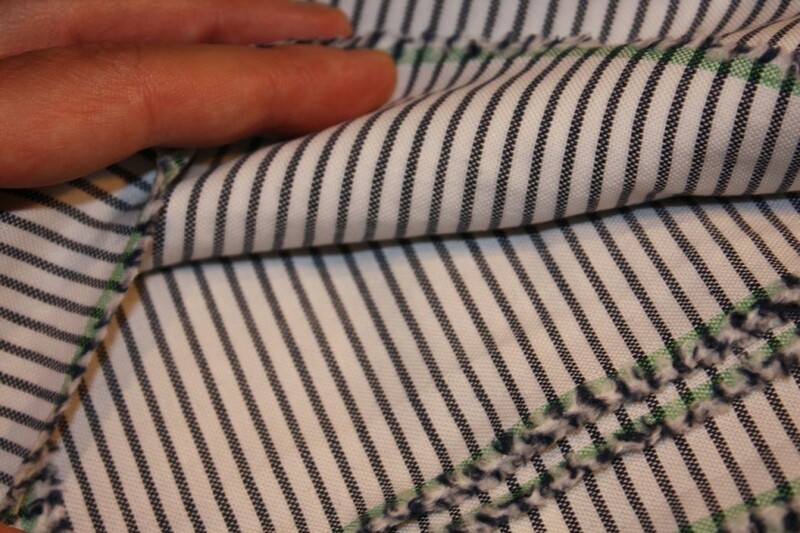 Here’s some photos of the eight cuts of fabric I got in my bundle. (The colors are a bit off, due to funky lighting in my workarea). You can click/tap for a larger view. 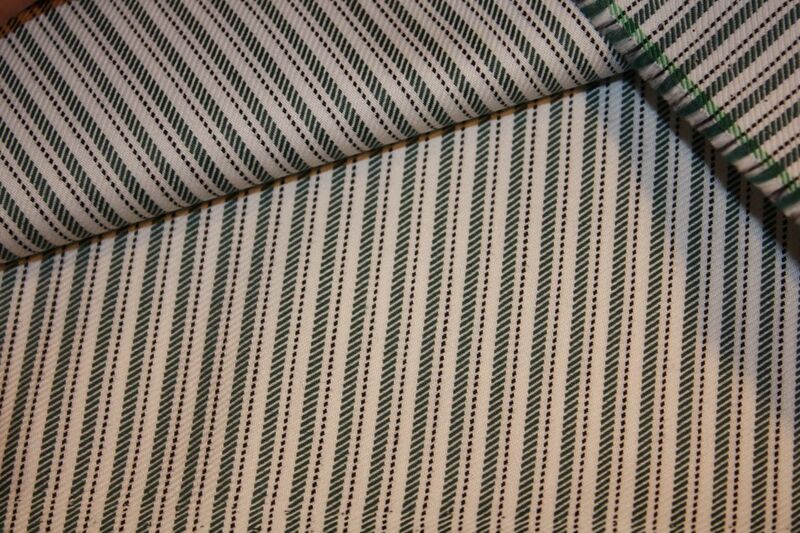 Michael’s Fabrics also has wool bundles too, perfect for use in making vests, jackets, or trousers as directed in Coffin’s book. We’ll rejoin the Breakfast Club Wardrobe. Some interesting developments await. This entry was posted in Books, Wovens on August 31, 2014 by mportuesisf. It’s kind of odd that you’re buying your own book at discount! The books I’ve purchased from them have all arrived in like-new condition. Not all of their books are remainders; some are still in print and are marked as such in their catalog. I notice quite a lot of other Taunton books are in their catalog as well. The Gitman shirtings look fantastic!! 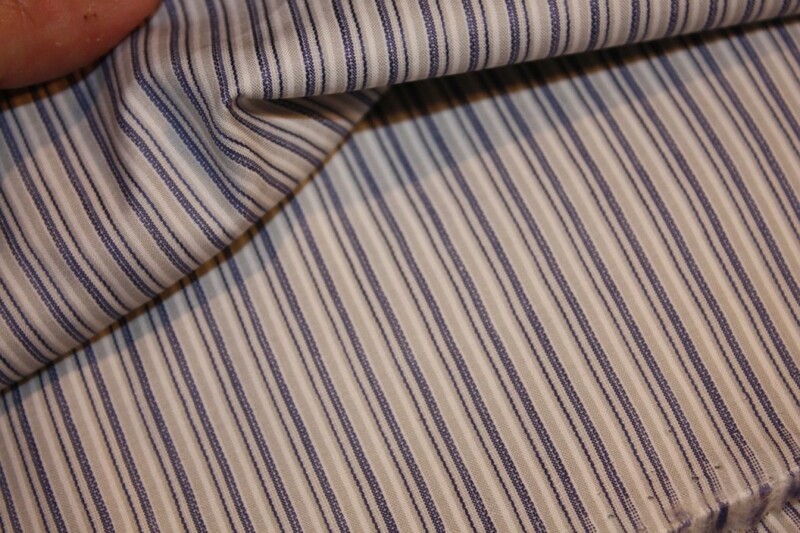 Here in San Francisco, Britex Fabrics carries some very fine quality shirting fabrics, but I generally wait for one of their 30% off sales before purchasing there. Sadly, Britex does not honor their online sale prices in-store, and vice-versa. Wow! Having an author of a great book comment on your blog is a great honor. A lot of great shirts from all that fabric, I am sure. I was just thinking about you and your blog. I am planning a trip to the Bay area in October to shop and visit. I am always interested in men sewing, dancing (I had the best belly dancing man in one of my classes). Back to your finds. Can’t wait to see what you are going to make with all the fabrics. Thanks for sharing your sewing book finds. As it happens, I am just in the process of making a Betty boop blouse. I need to improve my skills on making blouses, shirts, everything. Since I am no longer working outside the home. whoo whoo. What a joy that is.